Grab a great portable speaker for 40 percent off. Streaming services like Spotify and Apple Music have made it easier than ever to take your music library with you wherever you go. And with today's deal you can get great sound too. Amazon is selling the Oontz Angle 3 Ultra from Cambridge Soundworks for just $30Remove non-product link, 40 percent off its recently reduced list price and just a couple dollars off its all-time low. This portable Bluetooth speaker is designed to bring a powerful sound along with you wherever you go. With a weight of just 15 ounces and dimensions of 6.5 x 2.75 x 2.75 inches and a unique triangular design, the Angle 3 makes it easy to bring your tunes on all your adventures. It's also splash- and rain-proof, with an IPX6 water resistance rating. Two custom stereo neodymium drivers and a passive bass radiator are designed to deliver a full, rich sound, backed by a total 14 Watts of power. And speaking of power, up to 20 hours of battery life per charge will keep your music pumping all day long. We haven't tried this speaker ourselves, but it's a hit on Amazon, with 4.3 stars out of 5 over nearly 3,500 reviews. 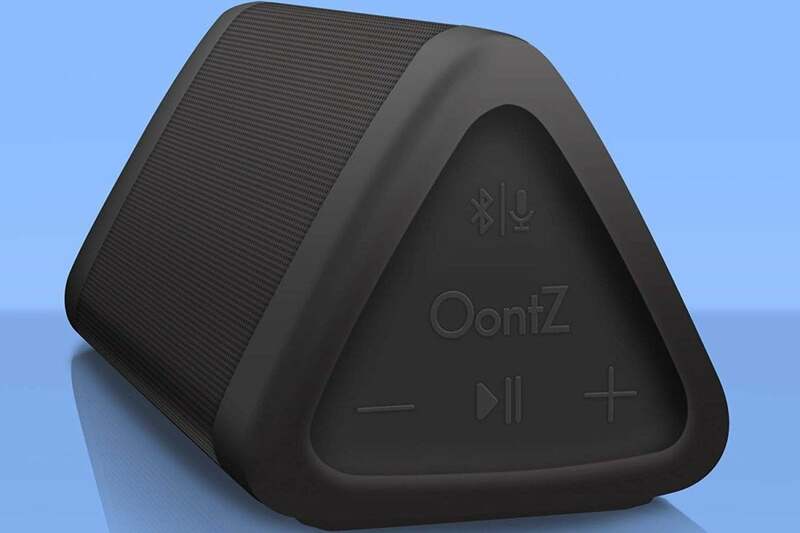 This story, "The popular OontZ Angle 3 Ultra Bluetooth speaker is on sale for a near all-time-low of $30" was originally published by PCWorld.